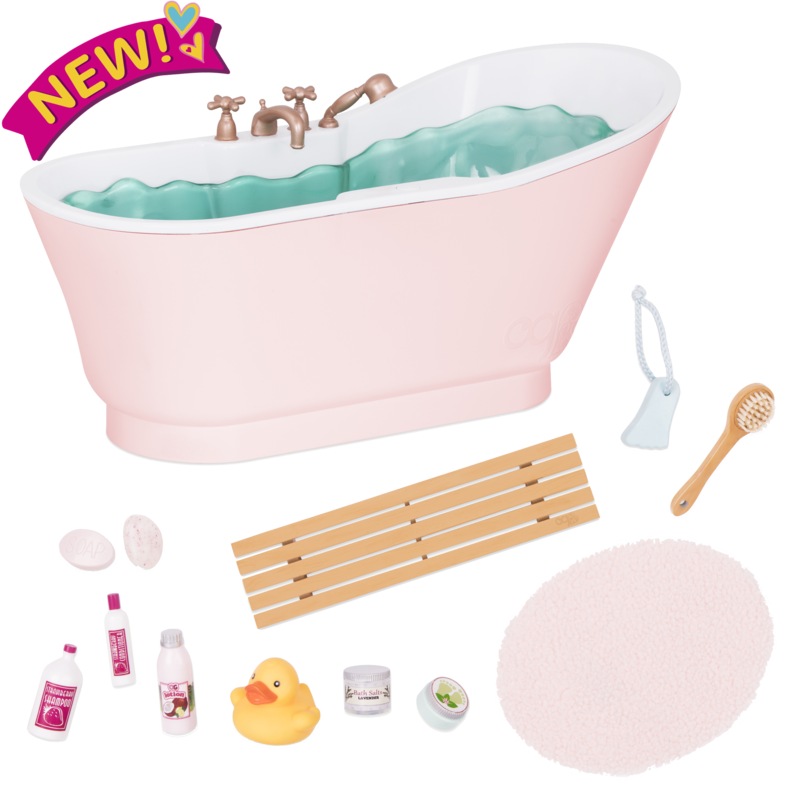 https://s3-ca-central-1.amazonaws.com/media.ogdolls/20180920184702/BD37268-Table-For-Two-Main%403x.png Category: House and Home. 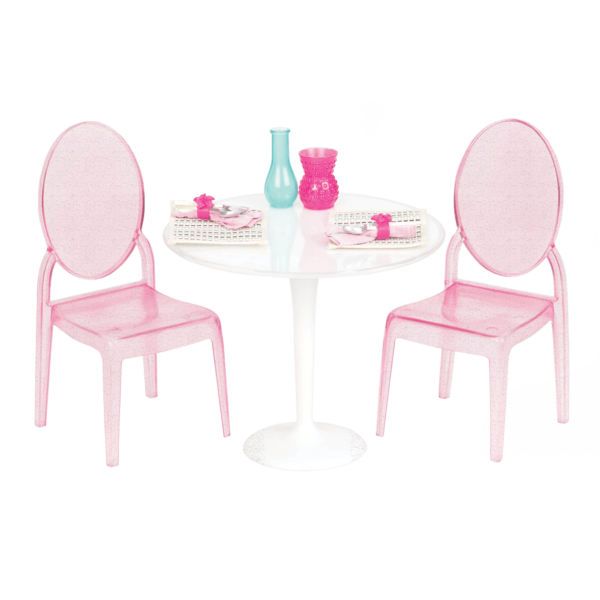 A pretty table and chairs for 18-inch dolls to dine in style! Whether it’s lunch, breakfast or tea, the very best meals are when you’re with me! 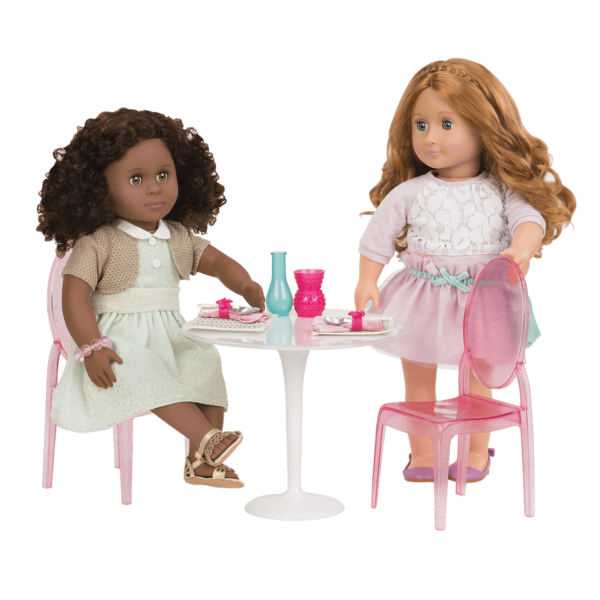 Get ready to entertain your best doll friends in style with the Our Generation Table for Two furniture set for 18-inch dolls! 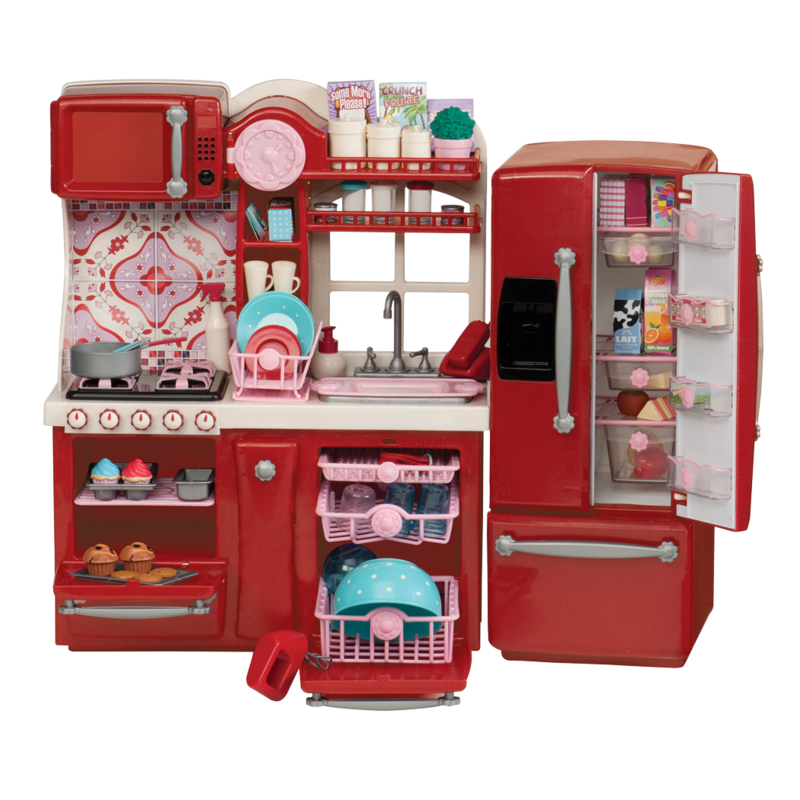 This doll furniture is so pretty and sweet, it’s the perfect place to serve up a treat! 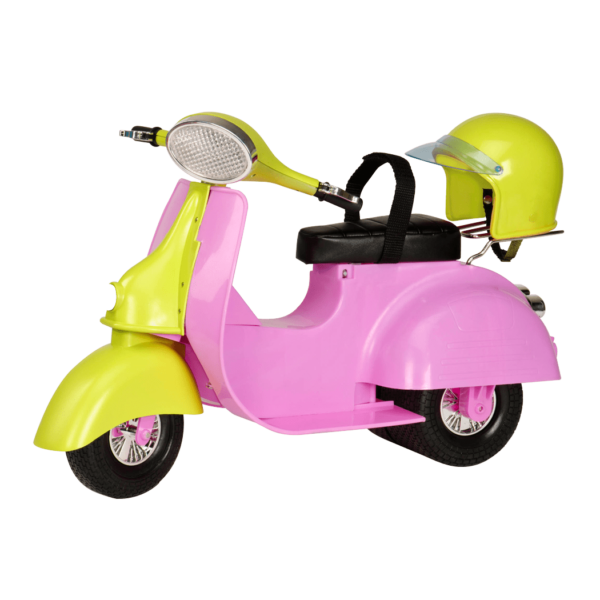 Sweet Furniture Accessories for 18-inch Dolls! Tea for two and two for tea, tea for you and tea for me. Pass the cookies please! Set up the white tulip-shaped table and the pretty transparent pink chairs in your favorite spot (it will work best on a flat surface). Set the table with the lovely woven placemats in pretty pastel colors. This set comes with 2 forks, 2 knives, and 2 spoons, as well as 2 matching woven napkins. Keep your cutlery and napkins together using the sweet floral napkin rings, and make your table extra lovely with the 2 vases in matching blue and pink. (You can add your own tiny flowers, or make some paper flowers to brighten up your table setting even more!) Whether you’re serving breakfast, lunch, dinner, or just a snack, your dolls will love sitting at this stylish table set for 18-inch dolls! Have you met Nahla, one of the dolls in the photos? 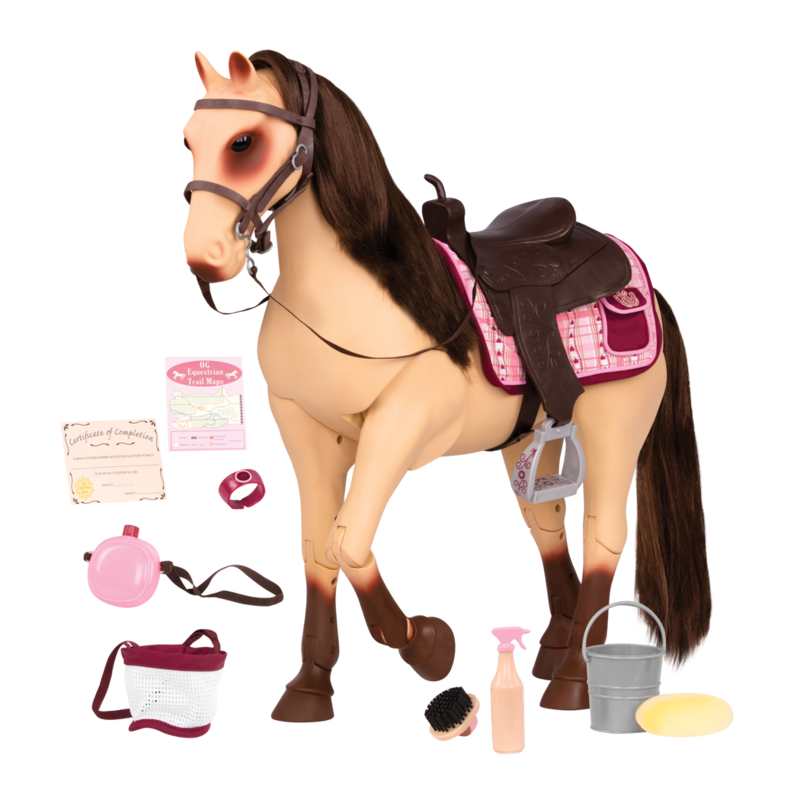 Nahla is a beautiful 18-inch doll with curly brown hair and hazel eyes who loves to have guests over to dine at her pretty table! Do you love hosting tea parties for your favorite doll friends? Check out the Tea for Two tea party set that has everything you need to throw a delightful doll tea party, including all kinds of miniature sweet treats! 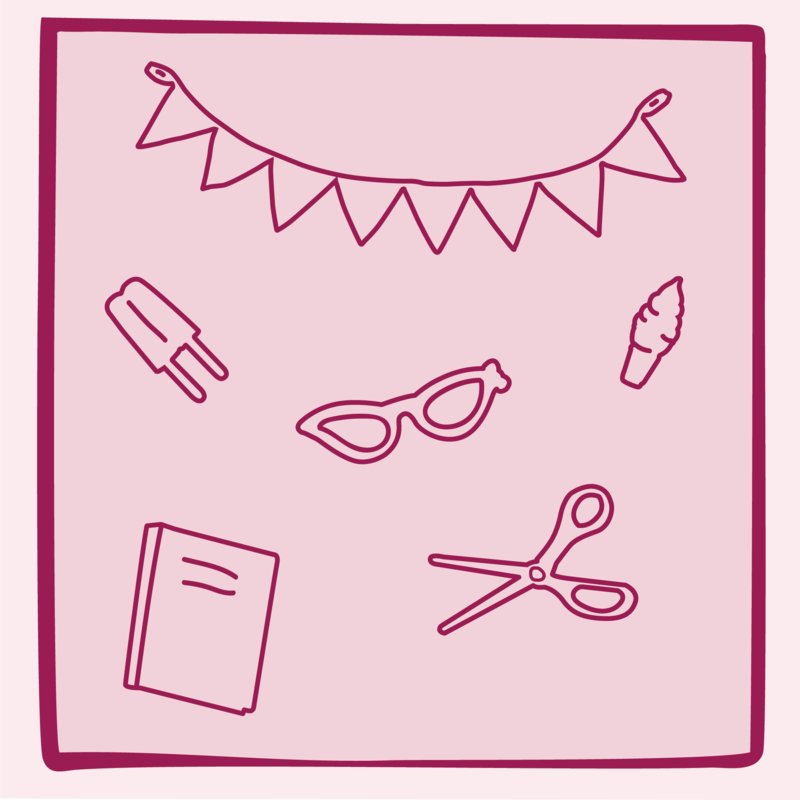 You can also find all kinds of extra party supplies in the Garden Party set! Includes white table, 2 clear pink chairs, 2 vases, 2 table settings, & more! The dolls pictured are Liana and Nahla. Dolls sold separately. I like it! It is a little hard to keep your dolls seated, they fall off. Good quality and nice overall. Got this for my birthday and it’s a good set with cool accessories, just when the dolls are wearing some outfits they slip on the chairs. hard to get the dolls to stay seated. also the chairs aren’t very good quality, made from a kind of cheap plastic but the table is better.